In Ontario, a driver must renew their driver’s licence every five years on their birthday. Driving without a proper licence, which includes driving with an expired licence, is an offence in Ontario, and carries a fine of between $200-$1000 and the offender’s vehicle may be impounded for 7 days. When you drive without a proper licence, you are also in violation of a condition of your vehicle insurance contract. Consequently, if you fail to renew your licence and someone is injured in a car accident, you face a risk that your insurer will deny coverage. However, if you unintentionally allowed your licence to lapse and believe you were properly licenced to drive, the insurer may be required to indemnify your claim in the event of an accident. A significant ruling was made on this issue, in Kozel v. Personal Insurance Company, which arose after a 77-year-old woman was involved in a car accident in Florida and severely injured a motorcyclist. The woman was an Ontario resident and had unintentionally forgotten to renew her driver’s licence, and it had expired four months prior to the accident. Because she was driving while unlicensed, her insurer advised her of a potential denial of personal injury coverage because she was in breach of her insurance policy. 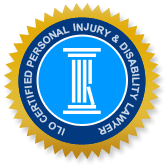 When the injured motorcyclist commenced a civil suit for damages against the woman, she brought an application seeking a direction that her insurer, Personal Insurance Co., owes a duty to defend and indemnify the claim against her. In Kozel, the motions judge decided that the insurance company has both a duty to defend and indemnify the respondent in the civil action brought against her. The judge found that driving without a valid licence is a strict liability offence rather than an absolute liability offence, and he held that the woman had exercised sufficient diligence (although “not the perfect diligence of the ideal citizen”). As such, she was not in breach of the Statutory Conditions of the Standard Automobile Insurance Policy pursuant to the Insurance Act, which states, “The insured shall not drive or operate or permit any other person to drive or operate the automobile unless the insured or other person is authorized by law to drive or operate it.” The motions judge ordered the insurer to reimburse the respondent for all costs incurred in her defence in the Florida action. In Kozel v. Personal Insurance Company (2014), the insurance company appealed the motion judge’s decision. The Ontario Court of Appeal agreed with the insurer, that the respondent was in breach of the statutory condition of her policy. However, the Court held that, pertaining to insurance issues, relief from forfeiture is discretionary and may be granted under the Courts of Justice Act, s. 98, in consideration of three factors: the conduct of the applicant; the gravity of the breach; and the disparity between the value of the coverage forfeited and the amount of damage caused by the breach. In this case, the Court found that the respondent’s conduct was reasonable and the breach had no impact on her ability to drive safely or on the contractual rights of the insurer. Further, the Court held that the disparity is huge, as the respondent may lose $1 million in insurance coverage while the breach caused no prejudice to the insurer. Based on the Kozel decision, driving with an expired license constitutes ‘imperfect compliance’, rather than non-compliance with a condition of a driver’s insurance contract. In such cases, relief from forfeiture will be available, which means that coverage cannot be denied except in unusual circumstances.